This weekend saw a small moment for a few veteran vehicles and their owners to get out and enjoy the little bit of sunshine whilst offering a surprise to the public who were lining the streets at the 2018 Willunga Almond Blossom Festival. It was also great to see one of our newest members – Adam Auditori – turn up with his Vulcan tourer and join in the experience. Following a warming morning tea, we all then proceeded on a short 60km drive around the Willunga Ranges as the good weather held out. 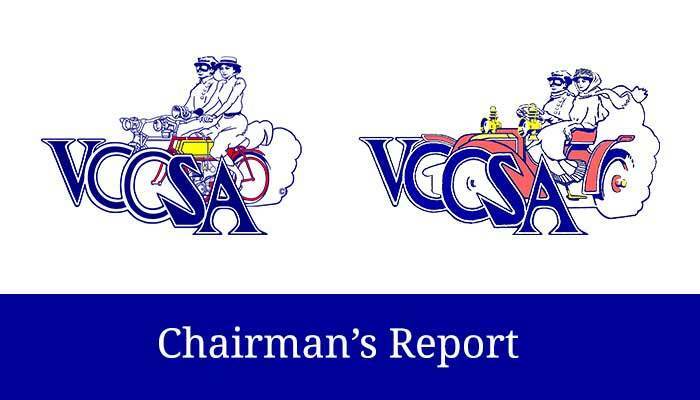 A great bit of advocacy for the VCCSA with our club car pelmets flying and even being spotted on the local MP’s Facebook page. Click (or copy) this link to take a look! This additional opportunity for an extended time driving your vehicles is into the final stages of preparation. Julian McNeil has some interesting roads and destinations in mind for us as we traverse the greater Southern Vales and Fleurieu Peninsula. With about 8 cars taking part, it will be a very casual and supportive event for all. If you would like to join this event, this Wednesday’s Gathering will be a good time to talk with Julian about registering your entry. If you would also like to come down and join the Saturday night dinner at Carmel’s Café Bar & Grill, please contact Julian to advise of numbers. September and October are shaping up as being very busy for us as a club. You will find the Motorfest registration form included in this Bulletin. The VCCSA Run to Port Adelaide looks to be an easy trip for those members still here in SA and not at Forbes as part of the TAVCCA National Veteran Rally. Don’t forget you need to register your Bay to Birdwood entry online https://store.motor.history.sa.gov.au/bay-birdwood-run-conditions. Until next month, keep those motors running!